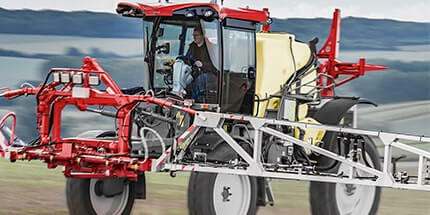 When it comes to wide boom innovation and design POMMIER is the market leader. Their accumulated 30 years’ experience provides real benefits for farmers considering a lighter, stronger and wider boom option. The RA bi-fold 36 up to 52 m booms are well proven in field performance and reliability, and the weight reduction benefits over steel cannot be underestimated. Optional AutoHeight control sets a new benchmark in wide boom performance, maintaining a lower boom height which provides better drift control. 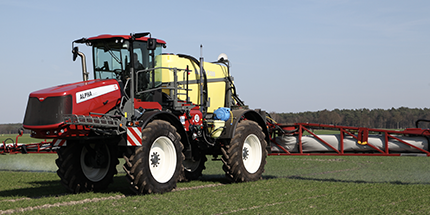 With the RA boom wings at half the weight of equivalent steel structures and when combined with POMMIER patented Yaw dampening, load and forces transferred to the centre during spraying are significantly reduced. 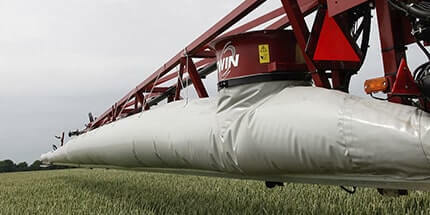 POMMIER soft close feature protects the boom when folding. 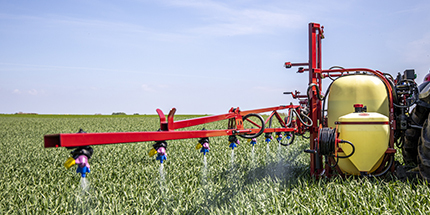 AutoHeight control provides stress-free boom height control as it maintains the correct nozzle operating height, delivers better application and reduces spray drift. 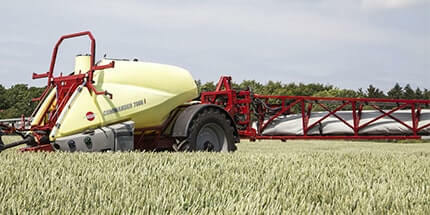 AutoHeight uses ultrasonic sensors fitted to the boom centre and wings to control and maintain a preset height of the entire boom above the ground or crop. The sensors, developed for field conditions, are robust and precise. The proportional valve control of individual boom wing height corrections is smooth, even and automatic. 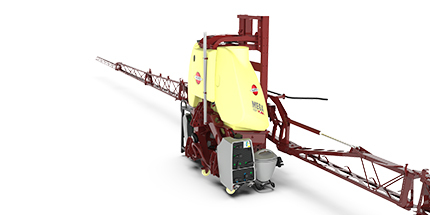 AutoHeight maintains a preselected boom height from the ground or crop. 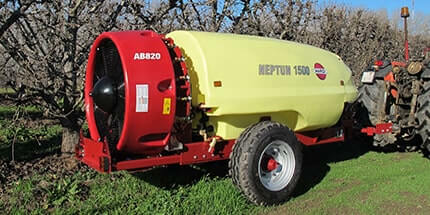 ActivAir is rapid nozzle on/off control system, that utilizes the Rubicon’s on-board air supply to instantaneously open and close the non-drip nozzles during spraying. 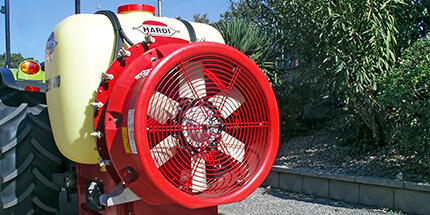 Air pressure is distributed along the boom through 8mm tubing to electrically activate solenoid valves and then through 4mm tubing to each non-drip valve. 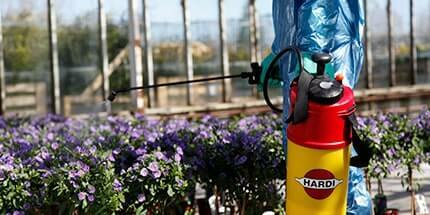 ActivAir’s rapid nozzle control is fast and accurate, making it ideal for AutoSection control systems. Plus the spray lines are divided into 9 up to 18 sections to ensure minimal overspray when AutoSection control is in operation. 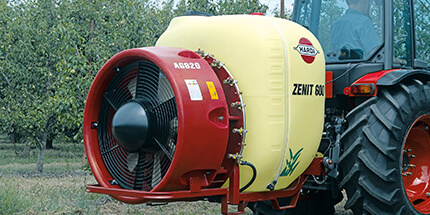 When a solenoid is activated to turn the nozzles on, air pressure opens the non-drip valves and the nozzles start spraying. 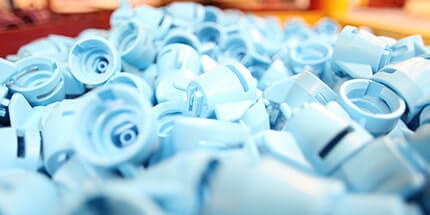 When the solenoid is deactivated to turn the nozzles off the non-drip valves are held closed under spring tension. 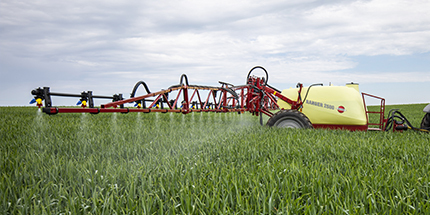 When the nozzles are off the fluid system continuously recirculates the spray mix through the boom tubes at high volume to ensure the boom is primed before spraying starts. 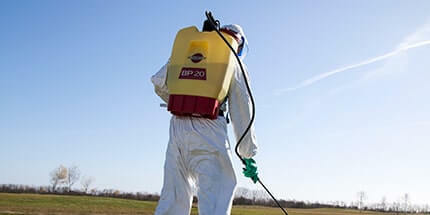 The under boom lighting kit allows the spraying to go on long after the sun has set. 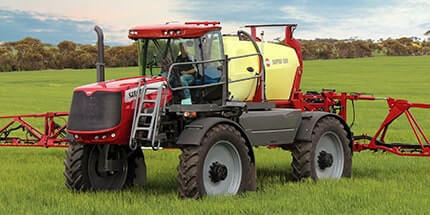 If the opportunity to spray comes at night, it is so much easier with the RUBICON’s extensive lighting package. The rear access stairway light is activated from cabin roof to show the way along the platform. The forward facing LED lightbar mounted on the boom center, and sidewards orientated lights will illuminate the route to and around the field to a distance of 150 m.
The under-boom blue cast lights provides a clear and non-invasive view to the end of the boom, and for visual conformation of functioning nozzles. 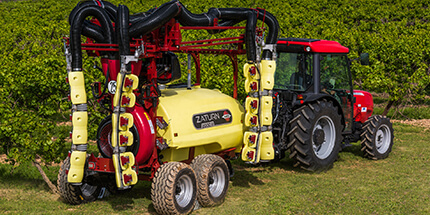 RUBICON redefines boom stability: A revolutionary boom suspension system allows independent stiffness control settings on the springs and rams fixed to either side of the centre frame. The boom remains stable under the harshest operating conditions. 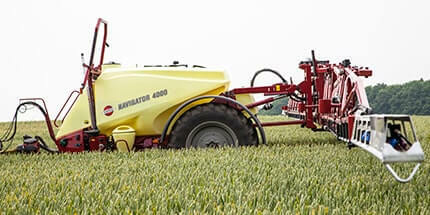 Field trials were performed with a boom set to only 50 cm height, and speeds of up to 50 km/h (turns at up to 30 km/h) without having the boom touching the ground! The wide centre frame provides excellent on road visibility. Spring tension holds the centre frame in the middle position while the hydraulic damper absorbs energy from booms movement. 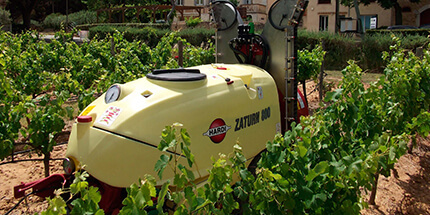 A hydraulic actuator operated from the cab exerts more or less pressure on the spring to change the resistance. 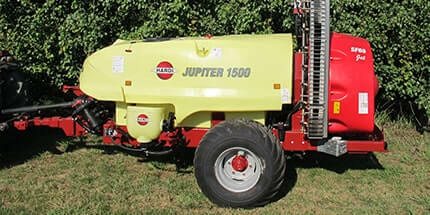 The ParaLift is extra wide and provides the basis for unbeatable boom stability. 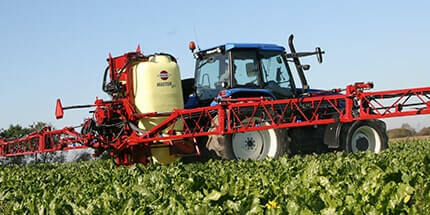 It is anchored to the chassis at 1.7 m centres and picks up the boom at 2.3 m width. The ParaLift’s width and torsional strength greatly exceeds the requirement for the widest booms currently available. Two large ParaLift plunge cylinders with nitrogen accumulation provide the boom with vertical shock absorption and height control. The boom can be raised from 0.5 m to 2.7 m above the ground. An air activated ParaLift locking system secures the boom into position for safe road transport.